When Ferdinand II died, the nobles that had rebelled, did it again, and offered the crown to Frederick whose nephew had been Ferdinand II. The Spanish allied to the French against them and invaded in 1501. 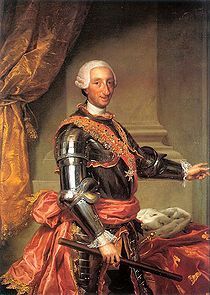 Frederick could not keep the crown and surrendered to who would be crowned as Ferdinand III of Naples, the king of Spain. Throughout the 16th and 17th century as Spain became richer thanks to the wealth the colonies provided it with, Naples became the biggest city in Europe and the number of inhabitants needed more building. The barons were controlled. viceroy Don Pedro de Toledo had the Spanish Quarter built and a great number of churches and monasteries to meet the souls’ needs. Architects and artists arrived in Naples and left their magnificent pieces in it. Cosimo Fanzago designed the Guglia di San Gennaro and Certosa di San Martino in the baroque style. Caravaggio, Guiseppe de Ribera, Massimo Stanzione, Luca Giordano and Francesco Solimena embellished Naples with many of their great works. In the 17th century the economic devastation led viceroys to introduce higher taxes and in turn it led to the populations’ uprisings. The levy on fresh fruit imposed in the middle of the 17th century caused the rebellion whose leader was a fisherman called Masaniello. Some of its followers in fact intended to make the Spanish leave Naples and killed him who only wished to abolish the tax. Even the French tried to take advantage of the situation and sent a noble man to seize the city. Later on the new viceroy crushed the rebellion and the town seemingly regained peace. Along the 17th century in 60 years Naples Mother Nature stroke naples with all its forces. Mount Vesuvius erupted leaving a toll of about 3500 inhabitants. .25 years later a plague epidemic took ¾ of its population and later on an earthquake that stroke Benevento reached Naples and badly damaged the town. Between the coronation of Charles VII and the unification of Italy Naples was totally overhauled and turned into a dazzling capital. New palazzos were built and the Teatro San Carlo became the largest and most splendorous in the European continent. Charles VII governed quite satisfactorily and gave Naples a great period of growth yet he was not a bright military or politician. As an echo of the events in France, Naples tried its own republican period which ended shortly after with blood staining the city. The Neapolitan nobility did not welcome the French Revolution. 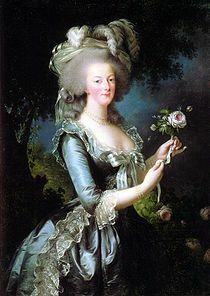 The queen was Marie Antoinette’s sister and as news of her been guillotined reached Naples the Neapolitans waged war against the French. Rome had been taken by the French and Neapolitan troops were not strong enough and were repelled to the south. The queen and king left to Palermo. With the only support of the noblemen, and bourgeoisie of which many followed the Republican ideas, Naples was taken and the Parthenopean republic established in 1799. This try failed because of the bad financial situation; and bad organization which caused a state of confusion. That was the time for Fernando and Maria Carolina to return. The way was prepared by Cardinal Fabrizio Ruffo to Calabria who took Naples. When the monarchy came back the following of the republican ideology were executed. The French in spite of failing were still eyeing up Naples. They finally took the city and Napoleon’s brother-in-law was crowned as king of Naples. While in power he made radical changes to the structure by officially ending feudalism, sharing out land in a fairer way; drawing foreign investment and encouraging industry. No matter how effective the measures could be he was not accepted by the royalists. When he was forced to leave the crown in 1815, Ferdinand return to Sicily and reigned until his death in 1825. The constitutions of 1820 and 1848 were not respected by the monarchy which still exerted their despotism. 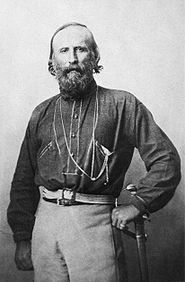 When the nationalist Garibaldi, fighting for Italian unification, landed in Sicily, the royalist troops, even though superior in number, were defeated. They were not convinced of what they were fighting for. King Francesco II resorted to guaranteeing he would bring back the last constitution. By then it was too late and Garibaldi was heading to Naples, which took in 1860. The king and some royalists who had sheltered behind the river Volturno tried now attacks on the nationalists and were beaten again. About a month later Naples voted to strive for Italy’s unification and crowning the Savoy as monarchs. The history of Naples after the unification was not what expected. Poverty led to emigration, the cholera epidemics of 1884 left a terrible death toll in the towns slums. The government of town implemented a number of measures: the poorest slums were cleared away and a new residential quarter was built. During the Fascist regime sparkling new buildings were erected, an airport was constructed, the railway and metro lines put and a funicular to Vomero was finished. The WWII left a great death toll in Naples as its position as a port made it a focus of intense aerial bombing. The city was badly and extensively damaged. In 1943 the Nazis had seized the city and the Allies were ready to enter the city. “The four days of Naples” is the name given to the series of popular rebellions that ex soldiers and young boys had organized to led to Germans out of town. Finally the Allies army invaded the city in October. They established a temporary government which had to face the starvation of Neapolitans to which the German prisoners and Italian fascists added. On top of it, the Vesuvius’ eruption took place in 1944. By then the Camorra and other criminal organizations were in position the offer help in exchange for the Allies allowing their illegal activities.